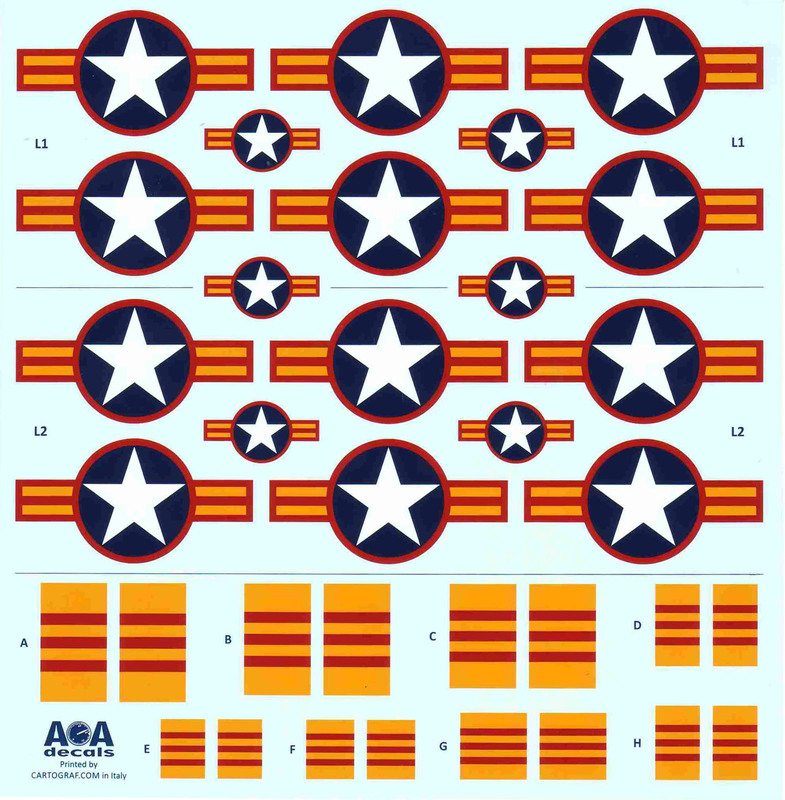 AOA Decals specializes in top quality, thoroughly researched decal sheets from the Vietnam War era. This is wonderful with all the new kit releases, as there are now more options for markings. Inside the package, there are full color profiles and notes about all eleven sets of markings, and two large colorful decal sheets printed by Cartograf. The sheet covers South Vietnamese Air Force AD-6/A1-H Skyraiders in 1/32 scale, with the recommended kit being Trumpeter or Zoukei-Mura. 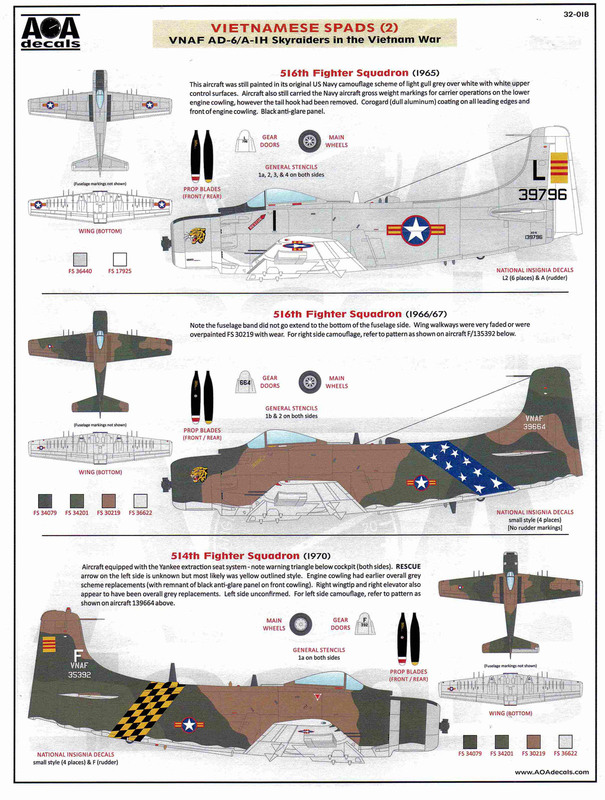 Detail and notes abound in the set, including notes on each specific plane, its color and markings, and any specifics about the plane. 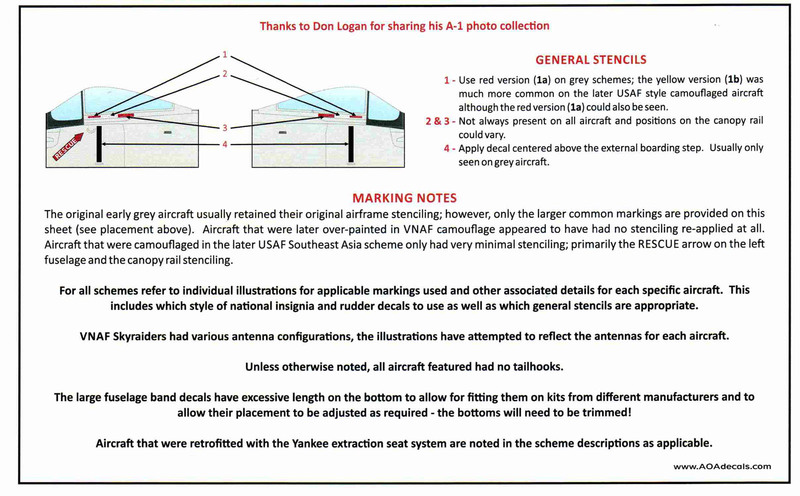 In fact, two of the markings represent Skyraiders that were retrofitted with the Yankee extraction system. The time frame involved is from the early 1960's to 1970. Minimal stenciling is included also. While there are only minimal stenciling/common markings provided, there are several variations, and specific markings are also included, as well as propeller markings. 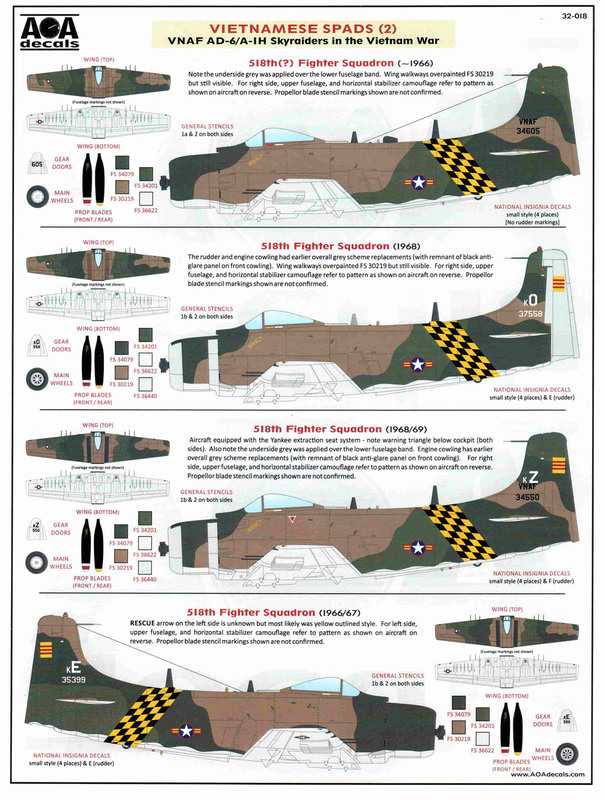 And just to reiterate, although the Trumpeter kit was used as a basis for these decals, the large fuselage bands were designed to have excess length on the bottom to allow their usage on the Zoukei-Mura Skyraider kits with adjustments as required. Great planning and design up front from AOA. Being an older modeler, I remember when new releases meant lots of great decal options. AOA has taken up that mantle with meticulous research and superbly printed decals for both the Trumpeter and Zoukei Mura kits. And there are 11 choices. This set is highly recommended. 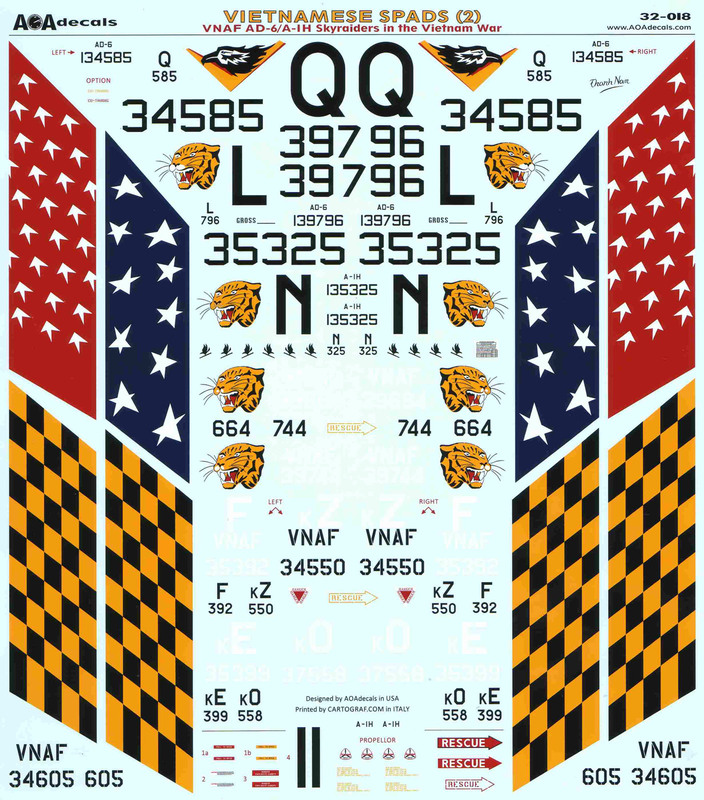 My thanks to AOA decals for the opportunity to review the sheet and to IPMS/USA for the chance to get it out on the web. 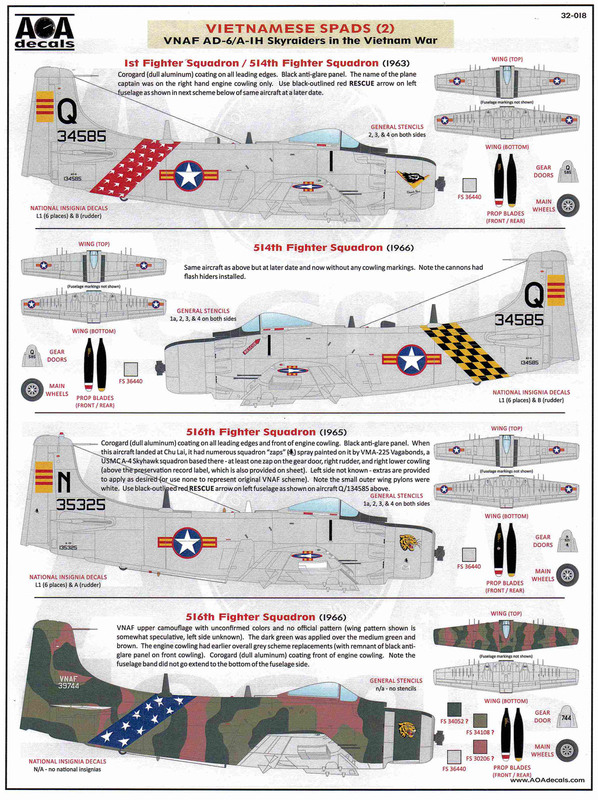 Cover of decal sheet, showing the various aircraft represented in this set.